Apple TV - A Game Changer? Apple TV: A Game Changer? 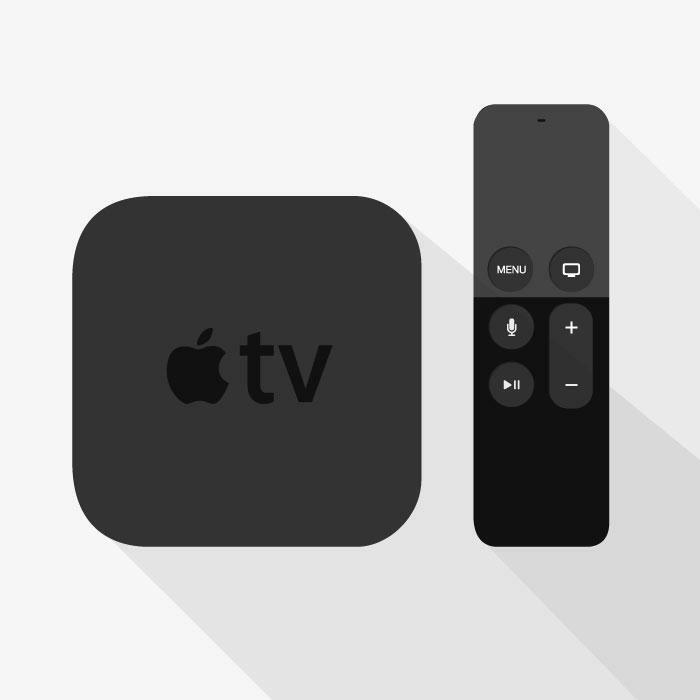 Should your brand care about Apple TV? To truly understand if it’s relevant to your brand, let’s take a look at the role it has in a consumer’s lifestyle. There are 3 types of consumers who watch TV: the cable TV subscribers, the cord-cutters, and the people in-between. Cable TV subscribers engage in programming the traditional way through broadcast television using a set top box. Cord-cutters are consumers who cut their TV subscription for an internet-only subscription and access content only through dedicated digital streaming devices (such as Apple TV), mobile devices, Smart TVs, and game consoles. These consumers have replaced their set top cable TV box for services such as Netflix, Hulu, Amazon Prime Video, HBO, and other on-demand streaming digital services. Lastly, there are people in-between – people who subscribe to both cable TV and at least one digital streaming service. The in-between group sees the value in streaming content but has not fully transitioned for several reasons. One of the most popular reasons is because their content isn’t available online or immediately after it’s aired. Some TV networks don’t have their own apps on streaming devices, and some programs aren’t available on streaming formats such as sports. Although shows like “The Walking Dead” are available on Apple iTunes, new episodes are not immediately available like they are on broadcast television. Instead, you have to wait until the day after it has aired on TV to view it on streaming digital. But in recent years, the availability of content has been drastically moving towards digital. Even some movies on iTunes have been appearing at least a week before they are released everywhere else. As more content moves into digital streaming, so will viewers. The growth of cord-cutters has grown substantially and there is plenty of supporting data showing the year-over-year growth of consumers who are ditching traditional TV. Netflix reported 29 million domestic subscribers in the first quarter of 2013 - surpassing cable TV HBO for the first time. So it isn’t surprising that HBO eventually decided to allow digital subscriptions to their service without requiring a cable TV subscription. Interestingly enough, HBO chose Apple TV as their launch platform - a very bold move considering their longtime relationship with the cable industry. For “Game of Thrones” fans, this was great news because consumers no longer had to commit to a more expensive internet and cable TV bundle. All it takes now is an Apple TV, internet service, a $14.99 monthly subscription to HBO NOW, and you’ll be on your way to increasing George R.R. Martin’s retirement fund. The new Apple TV is not just for HBO fans - it’s for everyone who is growing into the new age of television. As a cord-cutter myself, I have never gone back to traditional TV. For many, two of the most common reasons cord-cutters move to streaming services are: 1) The cost - it costs a fraction of cable to watch the same programs available on Netflix and Hulu. One of the best perks, is that your favorite programs can be watched commercial free. Which brings me to - 2) Commercials - TV has way too many commercials. Because we live in a world where everything is instant, expecting modern consumers to sit through 4-8 minutes of ads in one commercial break is a tall order, especially considering YouTube ads can be skipped after 15 seconds and Hulu averages 1 minute commercials (or none at all with their new commercial-free account upgrade). Cable TV commercials average 25% of each hour of viewing. That’s about 15 minutes of ads and 45 minutes of entertainment. The worst part is that most of these ads - if not all - are irrelevant to the viewer demographic. As an advertiser, imagine the ad spend going to waste when you are trying to speak to an audience who may never have any interest in what you have to offer. It’s like seeing an ad for a new hamburger, but the nearest restaurant is 400 miles away. While digital programming such as Hulu and YouTube also has commercials, the difference is that digital can offer consumers with targeted content that is more relevant to them. These digital subscriptions require users to login with credentials tied to a social media account or email services that make it very easy to custom match relevant ads to a consumer. Let’s say for example if you’re newly married, you might get ads such as vacation destinations. Then later down in life when you have a baby, you are likely to see more baby related products. I experienced this scenario first hand when we had our first child, and it was a welcoming experience compared to seeing cable TV commercials tailored to retired people. People don’t always dislike ads, in fact many of us have fond memories of them. It’s all about whether or not you are forcing a viewer to be exposed to irrelevant content. Let’s face it, not everyone will be into medieval basket weaving if that’s what you’re selling… but if you are, at least you can target your spending specifically to that audience. Apple TV has been around for a while, yet it hasn’t reached the same status as the iPhone. This may be because Apple TV, up until now, did not have apps or an app store. Smartphones in its infancy did not have the same app ecosystem they have now, and consider this - how useful would your mobile device be if it didn’t have apps? Aside from the internet browser, it would be very limited in many ways, and it’s almost a paper weight without apps. Imagine life before the Uber app. Apps changed everyone’s idea of a mobile device when it was introduced for the iPhone, and I believe Apple TV will do the same for the living room. But before we get into that, I want to point out that apps in TVs are not an original concept. Smart TVs have been making apps for years now. But the biggest difference is that Smart TV apps are extremely lackluster with poor user experiences. Game consoles have also been doing this for a long time; in fact Netflix in its early days grew in popularity because of game consoles. The biggest underlying difference is that Apple has a successful app store that is supported by a large and eager developer community already primed to make apps using their new tvOS. Apple’s reputation in making stuff that works is solid. So it’s not a mystery why its legions of loyal consumers adopt their products on day one, in blind faith. Is it a game changer? Apple products are very successful in tying in all their products to their ecosystem. Their products complement one another, and consumers who have committed to other Apple products will find it easy to add a new Apple product to their lifestyle. Apple TV is no exception to that rule. Since tvOS apps can be designed to work across apple devices, your favorite apps can now be experienced on your television. It’s exciting for brands because it allows them to have a dedicated channel on a TV. While YouTube also has channels for brands, they aren’t as prominent, and getting to them is not as convenient as Apple TV. On YouTube it requires multiple steps, and before you can even begin, you still have to open YouTube. On Apple TV, your apps are on the home screen ready to be accessed with a simple swipe and tap, similar to apps on an iPhone. No barriers, no fuss. Another major difference is that because it’s a tvOS app, developers can include interactive features beyond just a content channel. With tvOS apps, brands can build rich branded content experiences that essentially act as their own dedicated branded entertainment network. Branded entertainment and branded content is not a new concept. Walt Disney created a weekly program on ABC later known as, “The Wonderful World of Color”. In this program, Disney featured new or existing content from the Disney library and Walt used the show to tell the world about his theme park. The show had familiar Disney characters and themes people couldn’t get enough of, and it was a subtle way that strengthened a culture around the Disney brand. The program was such a success that it played a huge role in financing the Disneyland theme park that people around the globe know and love today. Branded entertainment in recent years has helped many well-known brands. Red Bull and GoPro are great examples of brands that utilized entertainment to tie a culture around their brand. 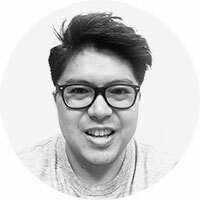 (Red Bull is already on the current gen Apple TV) It’s not hard to notice that the most successful brands in the world are the ones that do the best job at tying themselves to suit a person’s lifestyle. Apple TV has that same potential by giving ambitious businesses their own voice using content Marketing. Apple TV may just be the one to set the standard in modernizing entertainment in the living room, and it has every potential to change the way we communicate to consumers. I wouldn’t be surprised if at some point, Apple allowed people to use Apple Pay to instantly buy something they just saw on their TV screen. When that happens, I am betting that it will also influence shopping habits. Remember the end credits of PBS programs where they ask if you want to donate? Imagine if they integrated Apple Pay so you could donate instantly. I think it would transform the way PBS handles fundraising substantially. I would definitely donate after watching an episode of Sesame Street with my toddler. What about a Home Depot channel that focuses on DIY home improvement? At the end of the program, I could buy the tools and supplies I just saw on the program, then possibly do an in-store pickup at the nearby Home Depot. I’m also predicting that advertisements on free-to-play games on tvOS will be popular. Maybe a free-to-play version of Call of Duty? While players are waiting for a multiplayer match to start, maybe a Dollar Shave Club ad is displayed to the side. Who knows, but that would certainly be popular with gamers. In any case, this product will be very exciting, and this is just the beginning. The possibilities are endless and we will see it all unfold in the coming months. The question is, are you going to wait, or are you going to join the party before this next gold rush is over? Until then, Apple has a chance to prove to the masses how this new tvOS platform will become a part of a person’s lifestyle. So should your brand care about the Apple TV? Being at the forefront of emerging technology always presents its risks, and in all great things, risk is inherent. Evaluate your goals, budget, and priorities before making a decision. What is your overall goal and what areas in your marketing need improvement? Should it be included in your media plan when advertising becomes available? Do you have a monetization strategy for a TV app? Are you already engaging in content marketing? These are a just a few important things to consider if this is the right fit for your organization. Either way, Apple gives many compelling reasons to get excited about the opportunities Apple TV presents, and given their success record, it’s hard to turn a blind eye when you realize that companies like Uber, Airbnb, and Instagram started out as a simple app. Published on October 28, 2015 .